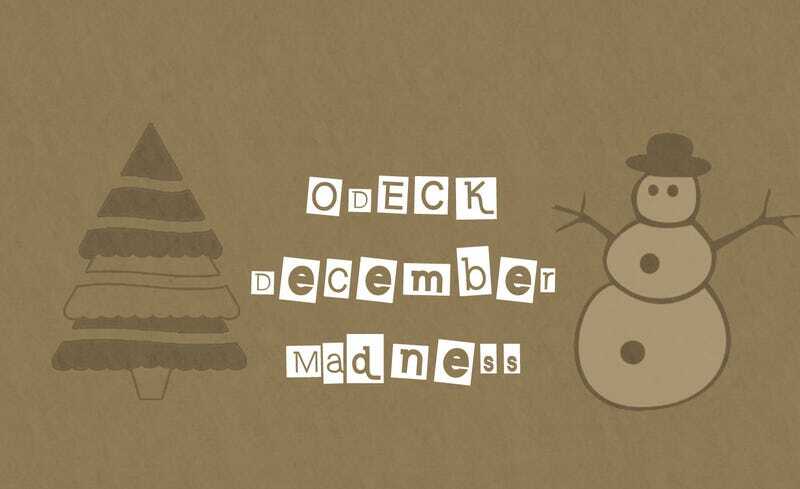 We’ve now reached the Elite 8 stage of the O-Deck’s December Madness. 8 teams remain to duke it out. Who will survive to reach the Final Four? Come vote and find out. In the last round, #TeamScissors was unable to maintain the momentum needed to overcome Home Alone. However, Nightmare Before Christmas unexpectedly trounced Christmas classic, White Christmas. The Doctor and the red nosed reindeer met similar fates. And neither South Park nor Community could overcome the Groening juggernauts. We’ve got some tough match-ups this time around. We’ve got lone wolves fighting enemy invaders in Non-Traditional. It’s Groening vs Groening in Christmas Episodes. A battle of Holiday Specials titans. And then there’s Muppets vs a Skellington. Should be some heartbreak once the votes are tallied. Hope everyone is enjoying this so far. Remember to vote, and get your friends to vote. Every vote counts.